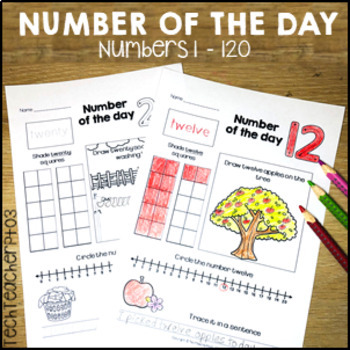 These worksheets make a great warm up for your students. 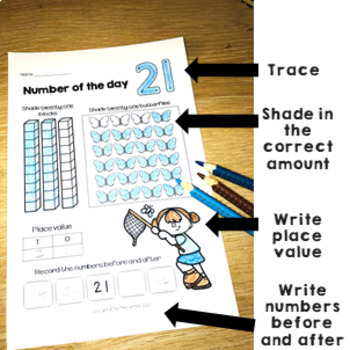 Select a number of the day and work with students through the activities and word problems. The first sheet in this set is a blank sheet for you to use with any number you would like. 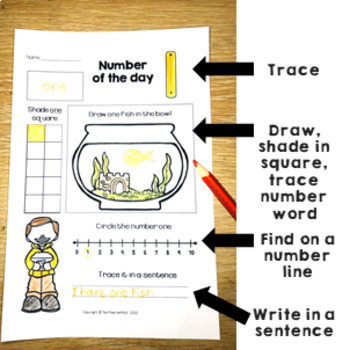 Number 1 – allows students to demonstrate their understanding of the number one through drawing. Numbers 2 – 5 introduces the part part whole strategy. Numbers 6 – 20 moves on to maths word problems and applying the part part whole strategy to work out the answer. Some of the word problems throw in a simple ‘red-herring’ to introduce students to more complex maths problems. 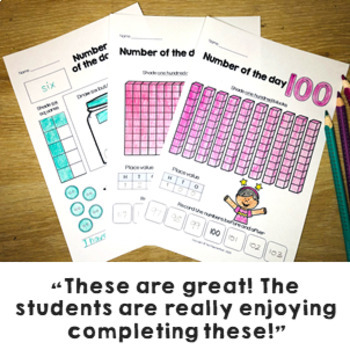 This pack allows for differentiation with students and the ability to return again and again to early number work problems. ALIGNED TO THE LATEST VERSION OF THE AUSTRALIAN CURRICULUM. Please study the preview images to ensure you understand what you are purchasing. If you have any questions about the pack please contact me before purchase. If you enjoyed this product please leave a four star rating ****. I STRIVE TO PROVIDE YOU WITH THE BEST PRODUCT POSSIBLE. If you don't feel it's worthy of four stars please let me know what I can do to improve this pack by being specific in your feedback. This way I can make this product the best it can be.